I go back to the community college library tomorrow. I’m looking forward to the new year. I have some fun ideas to work on, and I am feeling more confident about my abilities. It also helps to let go of those things you cannot control or all the things you wish you could do but can’t for any number of reasons, etc. 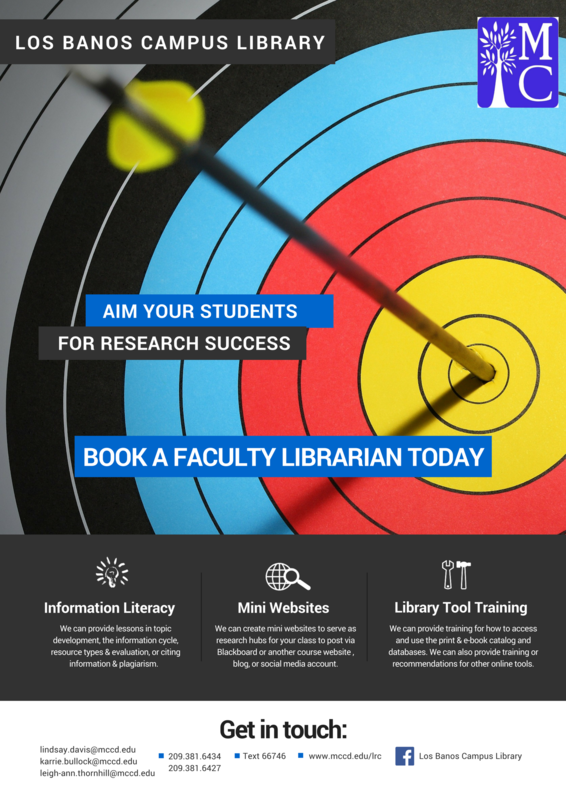 I meant to have a flyer for library services aimed at faculty ready to go by Monday, but I won’t be ordering the flyers through the college’s Print Services department until tomorrow. Since I work at the smaller of the college district’s campuses, our mail gets delivered through a courier once a day. I should get them by the end of the week. Here’s what I did through Canva, which is one of my absolute favorite tools I use at work. I also plan to update our flyer for students (it’s actually half-page size). For the last two years, I have only ordered it in black and white on light yellow card stock as it cuts back on costs, but it doesn’t match my style or the culture I’ve worked so hard to mold the last two years. I’m hoping to create something similar to the one I made for faculty this year. I’ll work on it this week while waiting for the faculty flyer.